The second blog post in our “How Total Value Ownership (TVO) can help shape an outsourcing strategy" blog series. Project costs in clinical development partnerships can be influenced significantly by the location of staff since salary levels differ widely depending on where the staff members are located. The percentage and mix of staff in different locations can provide a cost-effective solution, but it can also provide a solution that compromises quality if the mix is not right. Whilst the initial costs may decrease and help to build a business case, the Total Value Ownership (TVO) may not look so attractive when taking into account the oversight and other costs associated with the deliverables. Any projects that move off their critical paths can also have significant impacts to the overall TVO, particularly if this results in delays of submissions and ultimately launch. So, how do you spot if a particular solution is good value in terms of cost and quality when selecting a partner in clinical development? The first thing to do is critically examine the proposed structure of the teams. 1) Where exactly are the team members based? Each CRO will have a strategy in place to meet their objectives. A company that is focused on a low cost delivery approach may utilize a different approach to one where local team presence is a key selling point or where quality is the primary focus. We see this in every industry. There are luxury cars, innovative cars and cheap cars. Whilst the low cost car will obviously be the cheapest, there are advantages to the other classes of cars and the total cost of ownership may differ to the point where the cheapest car may not be best value overall or provide the experience that you are ultimately looking for. Supermarkets, airlines, computer companies, and department stores are just a few examples of diversification through different objectives. Likewise, in the CRO world, different CRO’s will have different objectives, and understanding these objectives will help determine if it's the right fit. Since the CRO industry is primarily a service and therefore people based business, staff location will likely relate closely to the objectives of the company. A lower cost solution will make use of lower cost resources in lower cost locations and understanding this will be critical in determining any impacts and what other factors should be included to ensure a positive TVO. 2) What are their roles by location? Having the right people in the right locations can be a major factor in determining how successful a clinical partnership will be and therefore the longer term TVO. It can also have a major influence on the rates / study costs being provided. Client team location may influence the location of project leads and the types of activities will determine where staff and the roles that they play are located. Having a full breakdown of staff by roles and location and how this will evolve in any ramp up plan can ensure that there are no areas of misunderstanding as the partnership develops. This can also be developed to take into account the preference of study teams and how comfortable a client is in using lower cost regions. 3) What experience do they have in each location? Having experience in certain locations can be beneficial and there is often a degree of ‘learnings’ over the first few years of growth in any region. Understanding whether a company already has experience in a particular country can determine whether there are likely to be any learning pains. This may be acceptable but having the right mitigations and back-up plans will be key to ensuring a successful outcome particularly as starting out some countries can be quite a challenge given market conditions, competition, culture, language and regulatory hurdles. 4) What processes are in place to ensure optimal quality? A sponsor will need to ensure that the vendor has the correct processes in place across the various locations to ensure the best quality as any inefficiencies can affect the TVO of a partnership. This is especially important with the highly regulated industry that we work in. The ability to adapt to the sponsors processes is important as well because in some partnerships there may be a preference to work to the client’s standard operating procedures (SOPs) and not the vendors or in a hybrid approach. Ensuring each location is flexible to such agreements and meets with the clients requirements may impact the TVO. 5) What are their short, mid and long term growth strategies by location? 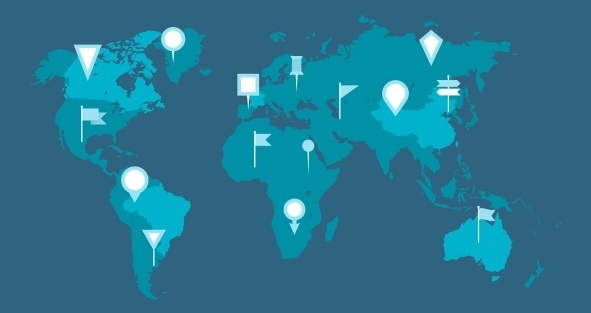 The ability to ramp up resources in each location is a factor a sponsor is likely to consider because they may require an established team in a short space of time and the infrastructure a vendor has in place will affect its ability to recruit and source the team in each location to support the sponsors volume of work. Therefore finding a sponsor that has an infrastructure that enables growth and access to resource levels that can cope with peaks and troughs can benefit the partnership. 6) Have other clinical partnerships been successful? The sponsor should be interested in the experience the vendor has in clinical development partnerships with other clients. If the CRO has formed other functional partnerships, this experience can be utilized to ensure a more efficient solution through their own learning and refinement of internal processes to deliver large scale functional partnerships. A sponsor is likely to consider that if previous case studies with other partnerships have been successful then this will bode well for future success. 7) How comfortable do your teams feel about the use of lower cost regions? Ultimately the global solution that is put in place should be in line with the client team stake-holders. Having a strategy where there is not the right level of management or study-level buy-in will likely result in a lot of additional work, communications, escalations and ultimately partnership breakdown. If customer based internal teams are hesitant in using lower cost regions then creating the right overall solution may satisfy this. If, for example, there is some concern about the quality of the outputs, then having the right hierarchy and additional QC may help, or the implementation of a stepwise approach to slowly introducing resources from lower cost locations can help to build confidence. The above are a few potential considerations to ensure that the TVO will be positive to enable a strong case for a successful future partnership. A low cost approach does not necessarily result in a longer term positive TVO and many companies have had to deal with the outcomes of going with the lowest cost provider. It is also important to recognize that different services may have different answers to the above and so these should be considered separately either as a full service with one partner or by utilizing functional partners that are often experts in each service field. Certainly, when evaluating solutions, I would advocate including functional companies into the mix as I have seen successful outcomes using this approach. Why Consider Functional Outsourcing by a Functional Service Provider?